Nose Jobs are one of the most popular cosmetic treatments the world over. Because the nose is a very prominent feature of the face, a slight change in its position or shape can bring a huge difference to one’s appearance. If you have a disproportionate nose (relative to your facial structure) or are unhappy with its shape (perhaps you broke your nose as a child), a Rhinoplasty is a great option to fix these problems. At Southwest Plastic Surgery Practice, many patients come for rhinoplasty procedures in the Southwestern regions of the country. With highly trained doctors, you can be assured of excellent quality service, procedures and state of the art technology, which is a must in a field as dynamic as Cosmetic Surgery. While combining other facial cosmetic procedures with a nose job is quite common, the decision to do so is made after Dr. Agullo thoroughly analyzes your medical history. Because every patient has a different background, the surgeon uses his expertise in the field and related knowledge to make a decision that is in the best interest of the patient. Discussion over the techniques to be used in a Rhinoplasty take up most of the time during the consultation sessions with Dr. Agullo. Depending on the areas you want to enhance with the nose and your medical history, the surgeon will suggest an appropriate technique that will yield the best results and be the safest in your case. At Southwest Plastic Surgery Practice, our plastic surgeon will make use of our 3D Vectra System, an imaging technology that lets him sketch pre- and post-surgery snapshots of the nose. This way, patients have an idea of what their nose will look like after the Rhinoplasty is complete. Aided by this highly technological system, Dr. Agullo’s advice will be in your best interest. Open Rhinoplasty: With an Open Rhinoplasty, a surgeon has a full and exposed view of the structures inside the nose. To do so, an additional incision is made along the inside of the nose and along the columella for the doctor to operate. Once the structures are realigned, the nasal skin is skillfully laid back in place. An open reconstruction of the nose is preferred because it is long lasting and yields precise results. However, due to intricacy, it is often reserved for more complex cases of rhinoplasty. Closed Rhinoplasty: A Closed Rhinoplasty is performed with the nasal passage and its structures in place. Incisions on the interior are made that fix minor structural problems. Once sutured, these cuts are hardly visible. 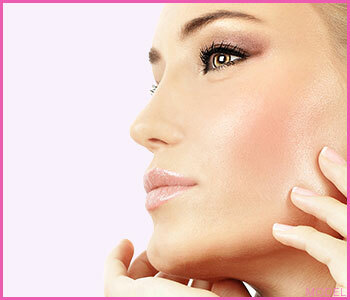 Closed Rhinoplasty is used for nose jobs that are less complicated and require minor tweaking. In the field of cosmetic surgery, getting a nose job is considered a run of the mill task. Because other facial procedures like a complete face lift are more comprehensive and complicated, a nose job is one of the safest and least invasive options, out of all cosmetic treatments. Having said that, it is still vital for all patients coming in for a Rhinoplasty to be prepared, mentally and physically. Unknown to many, getting a cosmetic treatment of the likes of a Rhinoplasty means one has to change the way he or she lives. Understand that your body is being asked to put in a lot of effort and resources to heal and accept the new changes; therefore, the least a patient can do is adopt a healthier lifestyle. Being a member of the American Society of Plastic Surgeons, Dr. Agullo specializes in Rhinoplasty procedures and the care required before and after the surgery. He advises all his patients to switch to a protein-rich diet weeks before the procedure is scheduled. A greater percentage of protein in the diet makes the body stronger and gives the immune system more fuel to speed up the recovery process after the surgery. If you are a compulsive smoker, bring this habit under control. Smoking increases the chances of blood clots post surgery, which can lead to several other complications. Hence, try with all your might to quit smoking at least two weeks beforehand. Inform your doctor in case you feel symptoms of a flu or cold. Stay clear of tanning beds or excessive UV exposure. Avoid taking painkillers that contain blood thinners. Make sure you take some time off from work to recover from the surgery. Be on an empty stomach since 12 am the previous night. Do not put creams or lotions on the nose or face. Arrange for a friend or family member to drive you back and forth from the clinic to avoid last minute inconvenience. Last but not the least; it is imperative that you keep social engagements to a minimum for at least 2 weeks after the Rhinoplasty. Depending on what procedure is done on you, a nose job can even take a couple of months to finally show effect. After the surgery, Dr. Agullo will tape the nasal bridge and the supratip to control swelling. The same taping also puts pressure on the nasal tissues and bones to align in the new shape laid out during surgery. Moreover, the tapes or bandages are a necessary precaution against fluid build up. During the follow up visits at Southwest, Dr. Agullo will remove the tapes and splints. However, you will be able to see your nose settle into a new position only after a couple of weeks – 2 to be more precise. From then on, up till 12 weeks, you will see slight changes every day as the post surgery effects become prominent. During these days soreness, sensitivity and swelling of the nasal area are common complaints among most patients. Even after the nose cast is removed, you may experience a stiff upper lip or a temporary bump in the middle of the nasal bridge (if your surgery was to remove the bump in the first place). Remember, a rhinoplasty may only take 2 hours, however, it takes several months for the nose to shift into a new position. Therefore, patience and steady resolve are a definite prerequisite! Can A Nose Job Cause Complications? Choosing a reputable and trained cosmetic surgeon can make a Rhinoplasty easy and hassle free. Dr. Agullo has been trained at the world famous Mayo Clinic. Thousands of satisfied patients in the El Paso, Amarillo, Horizon City, Midland and Odessa regions boast enhanced appearances, all thanks to Dr. Agullo’s wealth of knowledge and individualized care. Apart from giving the patients a very comfortable and friendly environment to be treated in, Dr. Agullo believes in imparting all sorts of information so that patients can make educated decisions. From the advantages and possibilities of a ‘newer self’, to the side effects and risks, you can openly talk about every small aspect of a Rhinoplasty with Dr. Agullo at Southwest Practice. Some of the complications that may arise as a result of the surgery are listed below. Keep in mind that these effects are more frequent in patients who are heavy smokers, alcoholics and have a long and complicated medical history. Amplified Swelling. Rhinoplasty patients may go through long episodes of abnormal swelling. Various kinds of skin infections. Adverse reactions from the use of anesthesia. Special consultation sessions are arranged for patients coming in at Southwest Practice so that they can discuss and get reassurances from Dr. Agullo regarding a rhinoplasty procedure. Therefore, make use of this time to talk about your concerns regarding these complications. Apart from patience and a tad bit of resolve, a Rhinoplasty patient needs to have realistic expectations about the surgery. The same applies to the financial aspect of the cosmetic procedure. A Nose job is an intricate surgery that requires skill, a gentle hand and a whole lot of experience. The Southwest Plastic Surgery Practice makes sure every patient is given the best treatment. Therefore, the cost of a nose job approximates between $6,700 to $10,000, depending on the extent of correction needed, the kind of anesthesia opted for and the number of combination surgeries chosen. This cost may seem exaggerated to some. However, you need to understand that it includes the fee for a reliable and experienced anesthesiologist, the cost of being in a fully monitored and hygienic facility, and the cost of cosmetic services by a board certified Cosmetic Surgeon. Does insurance cover the cost of a nose job? In most cases, when the surgery is done for beautification purposes, insurance does not cover this cost. However, if a rhinoplasty is done as a way to relieve physical pain due to injury or disease, there is a chance that an insurer will cover the procedure partially or even fully. Therefore, it is best to consult with Dr. Agullo and also have a word with your insurance company.